After 2 horror features, one of Singapore's most prolific film directors Chai Yee Wei brightens up the colour palatte with the world of xinyao and music making in his latest feature 'The Girl in Pinafore'. Never mind the marketing collatrerals reminds you of Taiwan's 'The Apple of my eye', this is an original story rooted in 90s Singapore. We catch up with Yee Wei on his newest baby. Do you follow your heart or follow your head? This is a coming of age tale set in 1993, involving first loves and dreams, inspired heavily by 'Xinyao'. This film is many years in the making. I draw many inspirations from my earlier years in secondary school. Because I grew up in a family where my parents do not speak or read English, so I was very much entrenched into anything Chinese related back then and I hardly could speak any English until I went to University. CLDDS (Chinese Language, Drama, and Debate Society), Xiang Sheng (Chinese crosstalk), ShiGeLangSong (Chinese Poetry Performance), Story telling competitions, and of course Xinyao music. But because I was really weak in English, my other subjects like Math and Science faltered. Ironically, after spending 6 years living in the States for my undergraduate studies and work, my English got much better and my Chinese suffered. I guess it is a reflection of the Singapore's society on a whole - in order to make it in Singapore, you need to be good in English, Chinese is optional. I see popularity of Xinyao being closely related to the level of Chinese standards in Singapore. There is no more Xinyao as we did before because the general standard of the Chinese language has deteriorated. This movie on the surface is a conventional teenage love story, but on the metaphorical level, it is to reflect the demise of the Chinese language in our society. Are you more the horror guy or the musical guy? After 2 horror features, why the change in genre? Actually this film with an early draft and pitch was already written right after Blood ties back in 2009. But due to the 'Xinyao' theme, many producers and investors found it too niche to be commercially viable for the amount that it needs to be produced. It was not until 2012 when we received the P-assist grant from SFC, and mm2's involvement in production did the project gain any traction. Because I am such a huge fan of the genre, I already had plenty of background information required for the film even before it was written. What we did for story development at one stage was quite unique I think in terms of how Singaporeans write screenplays. We had a group of 6 screenwriters meet once or twice weekly for almost 2 months to discuss and brainstorm ideas. After the bout of brainstorming, myself and the screenwriter Violet Lai starting meeting and working on a draft separately from the group to distill all the ideas that we have had till that point and see how to put them into a coherent story. the direction we decided upon was not to try to make a film that talks about the experiences of the song writers back then, but to do a film about kids inspired by the songs written by the Xinyao pioneers. So what was more important was the spirit of Xinyao that we were trying to preserve. Anything interesting you learnt about the development of xinyao from the people spoke to? The people we spoke to like Liang Wern Fook, Li Feihui, and Colin Goh, they all share the same passion when it comes to making the songs that they did back then. They just did it because they felt it was fun, and wanted to create somethings that they can call their own. They didn't think their works were going to influence anyone or did they do their songs to make big bucks. They did it because they had a dream and they followed their guts. As such, I think Xinyao is the best embodiment of what a "Singaporean dream" is. I think regardless, people will draw their comparison before watching the film. But I think all those who had watched it will realise how shamelessly Singaporean this film really is. This is a film made by Singaporeans, starring homegrown Singaporeans, featuring all things Singapore. :) There's nothing taiwanese about this film I guarantee you that. 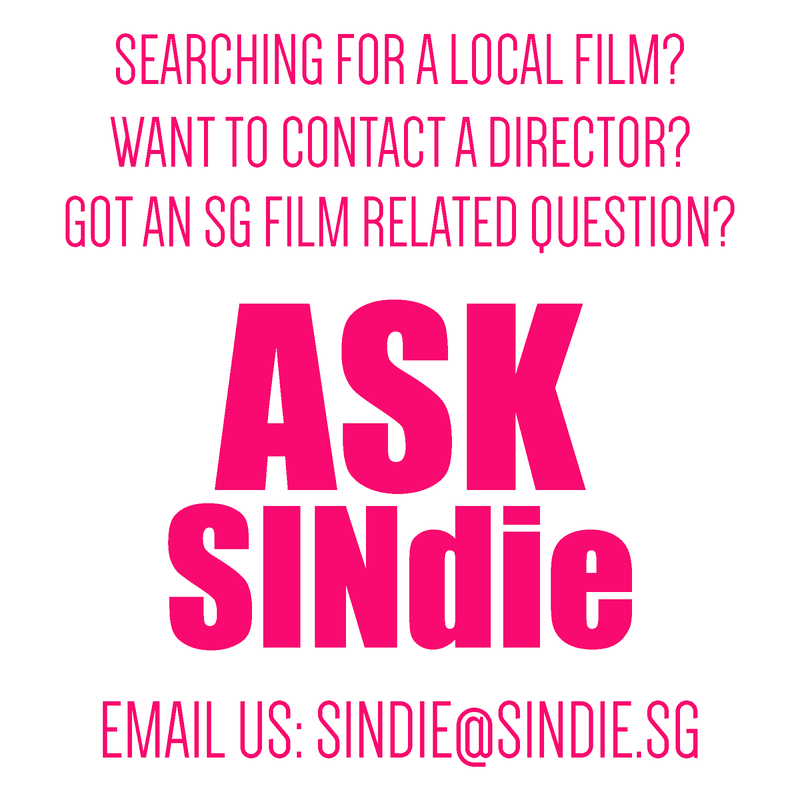 How do you think this film will appeal to Singaporeans? What is the main message you would like them to take away from the film? While listening to your head is important, but please don't neglect to nurture what's in your heart. Tell us about the casting in your film. We had multiple rounds of auditions and open casting calls and saw more than 200 hundred people. It was tough because I needed kids who can, act, sing, dance and play their own instruments. Some actors were cast so late we were so worried how the film was even possible at one stage. In fact Daren Tan was the last to be cast. Tell us about some of the funniest or interesting things which happened during the shoot. There were so many! There was one funny incident that was particularly memorable. That scene had a Filipino helper who came out of the house telling May, the female protagonist that her mother is on the phone. May was supposed to grab the cordless phone and enter the house with her. But in that take she took the phone, waved the boyfriend goodbye and closed the door behind her leaving the helper outside the house. And it was so awkward she was knocking on the door asking to be let in. After I shouted cut everyone on set just burst out laughing so hard! What is your favorite xinyao song and why? 麻雀衔竹枝 The lyrics roughly talks about Liang Wern Fook's (the writer of the song) younger years, being born near Tekka, growing up in Queenstown and going to school at Middle Road (Catholic High). It also briefly mentioned the bombing of Singapore during the Japanese occupation and other singapore icons like the HDB flats. But the crux of the song, talks about how Singaporeans living abroad, still longs for their home back in Singapore. There's no place like home. Being a Singaporean who has lived overseas for 6 years, this song really speaks to me. Not to mention, the primary school that is mentioned in the song was the exact same one I used to go to. My whole family used to live on Middle road too. 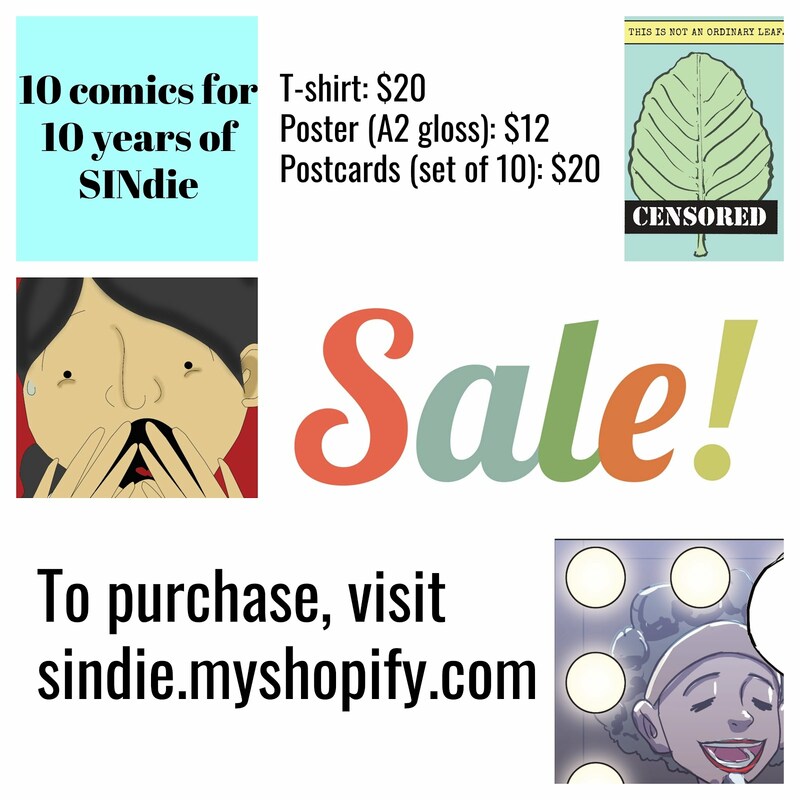 Give us a pitch for the film to our Sindie readers out there! 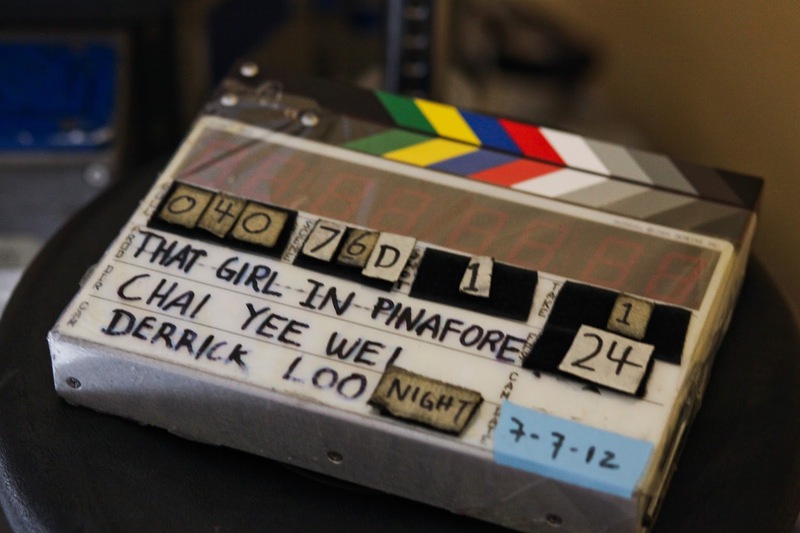 This is not just a film about teenage love and dreams, but it is also about rekindling your love for Singapore. For those who are in their 30s-40s, it is a love letter to the Singapore of the 90s and I am sure it will bring back lots of memories. The movie opened to rave reviews from various media. Here are some of the reviews. TODAY gave a glowing review calling it Chai Yee Wei's homegrown gem, see it here. The Girl in Pinafore has opened islandwide on 1 Aug. Go Catch it today!